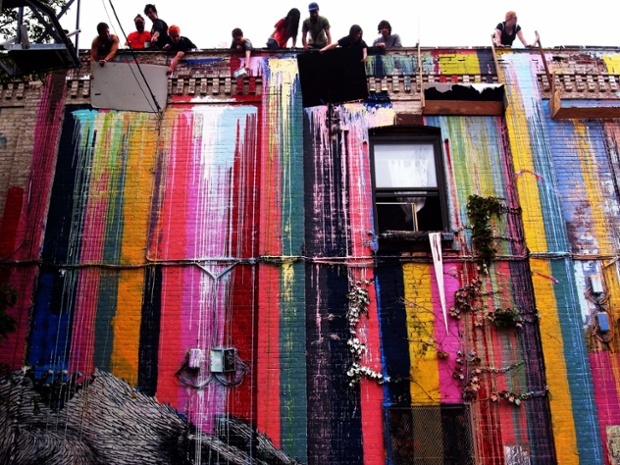 If there is a gender disparity in the art world, it is all the more acute in street art. While some claim the physical danger of working outdoors makes women reluctant to participate, artists like Swoon, Vexta, ELLE and Maya Hayuk have battled through, undeterred by discrimination both on the street and in galleries. 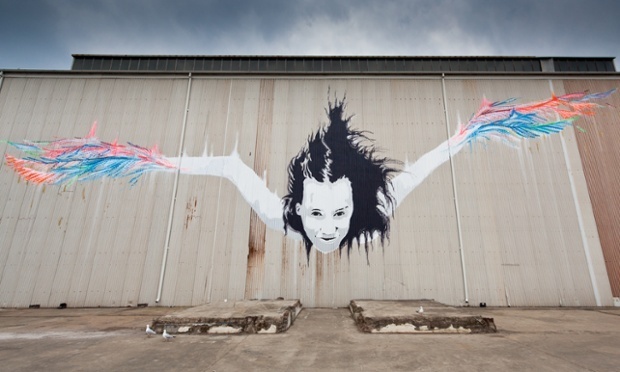 ELLE’s early experience of street art began as an ambition to go as hard as her male peers. She set about “getting up” around New York, spraying, tagging and sticking her name on as much of the city as she could get away with. 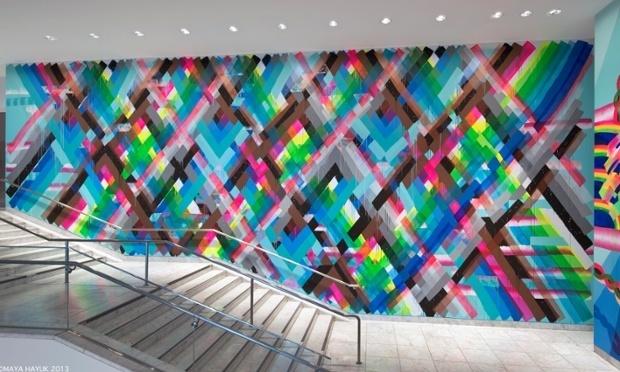 Titled Unextinguished, ELLE’s Brooklyn show in 2014 with New York photography legend Martha Cooper – author of graffiti bible Subway Art – was the culmination of a kickback against years of seeing the streets daubed with the names of male taggers. 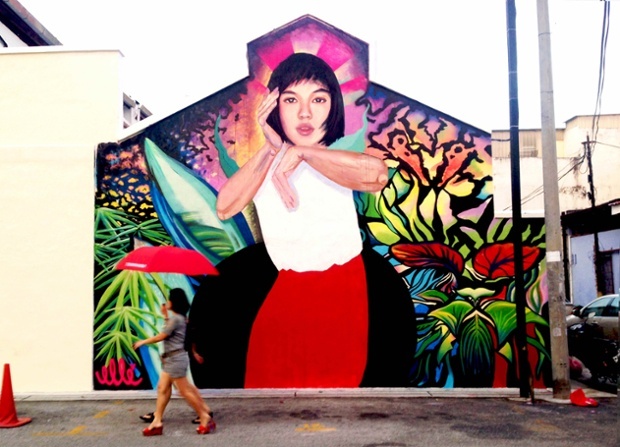 She set out to make work as feminine as her nom de plume, her artwork often including images of powerful warrior women, characters she feels protect her on the streets. 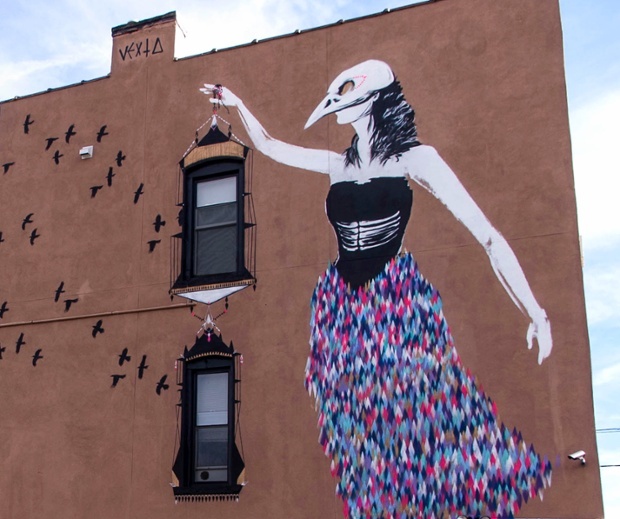 Vexta makes a clear distinction between the worlds of “graffiti” and “street art”, the former being more inclined to posturing machismo and confrontation, or “beef”, between individual artists and crews. Negating this bubble of testosterone-laden bravado and steering away from the hypersexualised imagery present in many pictorial representations of women in the work of artists such as Sofles, Vexta found herself gravitating towards a strongly feminine form in her paintings, portraying graceful female figures, often in flight or suspended mid-air. This inequality becomes even more evident once financial factors come into play.Maya Hayuk recalls leaving art school and watching the men, who were in the minority in her class, all go on to get jobs as illustrators and fine artists, whereas many talented women were ignored. Nevertheless, Swoon’s 2014 solo show at the Brooklyn Museum was a huge triumph. 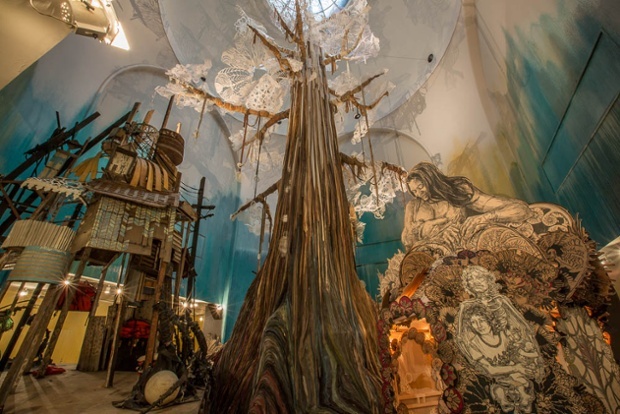 Her intricate installation took up the entirety of the upstairs gallery with hand-built boats from her Swimming Cities project transported across the globe and lovingly reconstructed among an intertwining paper forest and huge Avataresque central tree. She has developed numerous projects that lift the curtain on social inequality, such as the Braddock Tiles project, enabling local employment and arts training in North Braddock, and her Konbit Shelter work, helping rebuild communities in Haiti. In these projects, Swoon manifests her burning desire to address problems she sees extending deeper under the surface of society. Despite this, Swoon is not without hope. Is it possible that the years of the church and state commissioned ‘male gaze’ in western art history are giving way to a more compassionate female gaze? Have we approached a tipping point in society, where, informed by the input of creative women, we begin to rewrite social narratives for the better?